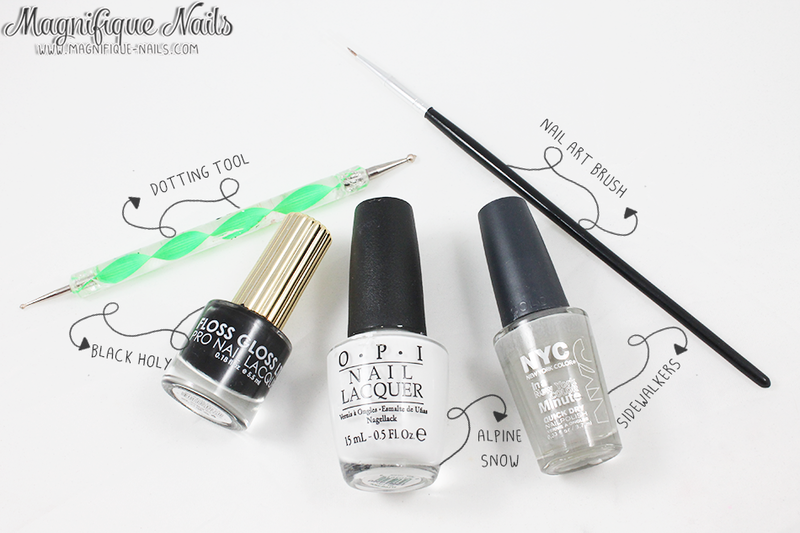 Magically Polished |Nail Art Blog|: Love to the Bone! Hi everyone! I can't believe we're now half way threw the week of February. Definitely this year is going by fast. Especially, this horrible cold weather were having. It nearly snowed three inches and the weather channel announced more snow for tomorrow...ugh! I'm not summer person, but I'm sure waiting for spring. 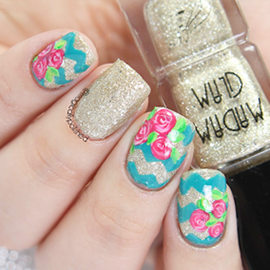 Anywho...today I have for you, somewhat a fashion inspired nails. I know this is completely unusual to do skull and hearts altogether, but the overall concept fits perfectly. I wanted to create something similar like the sweater, but I designed it little more my style. For the base I applied two coats of OPI Alpine Snow on two fingers and two coats of Revlon Black Magic. And added a few miniature hearts to give it more of a girly look (if that makes any sense). 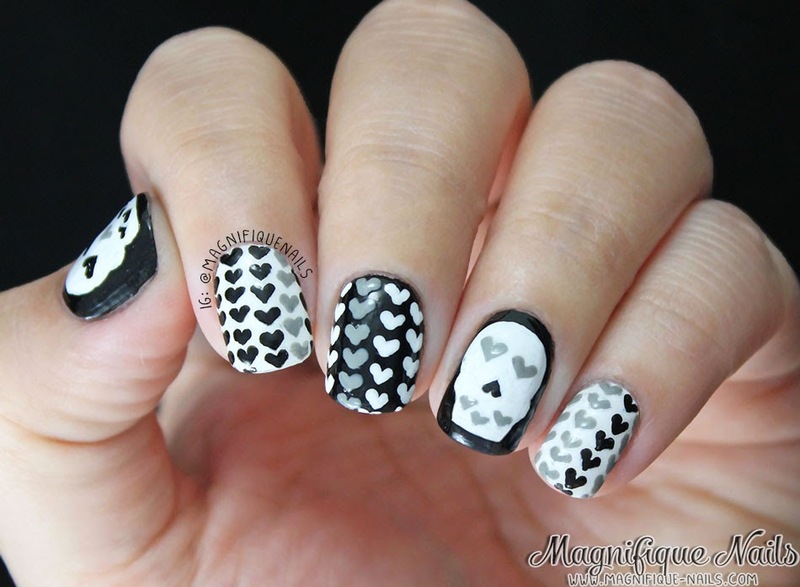 Using a dotting, I drew the miniature hearts using OPI Alpine Snow, Revlon Black Magic and NYC Color Sidewalkers. 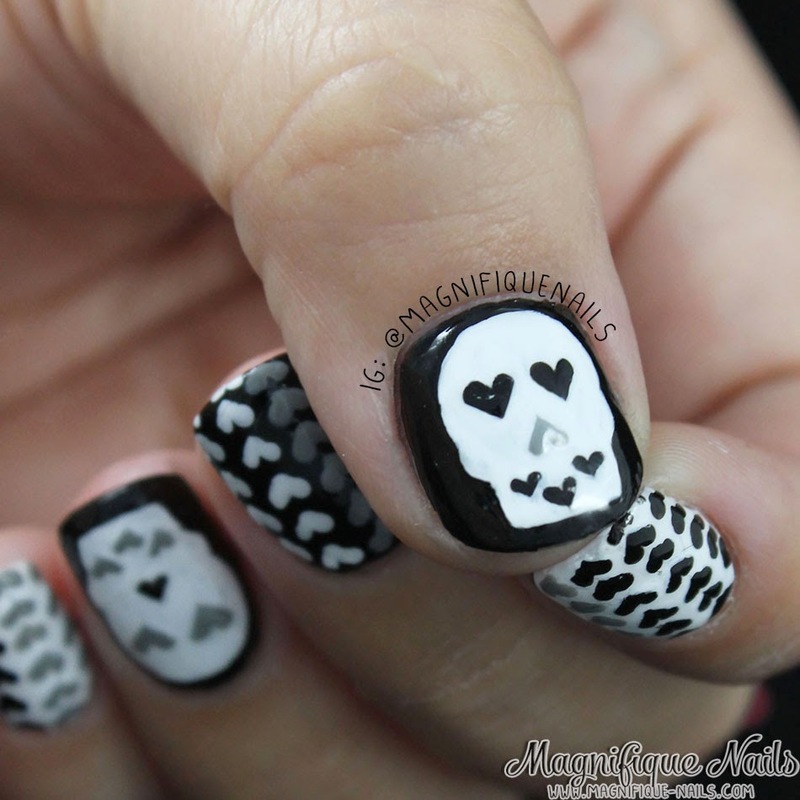 For the skull, I used a nail art brush with OPI Alpine Snow (no acrylic) and added the eyes and mouth as hearts with Revlon Black Magic and NYC Color Sidewalkers.